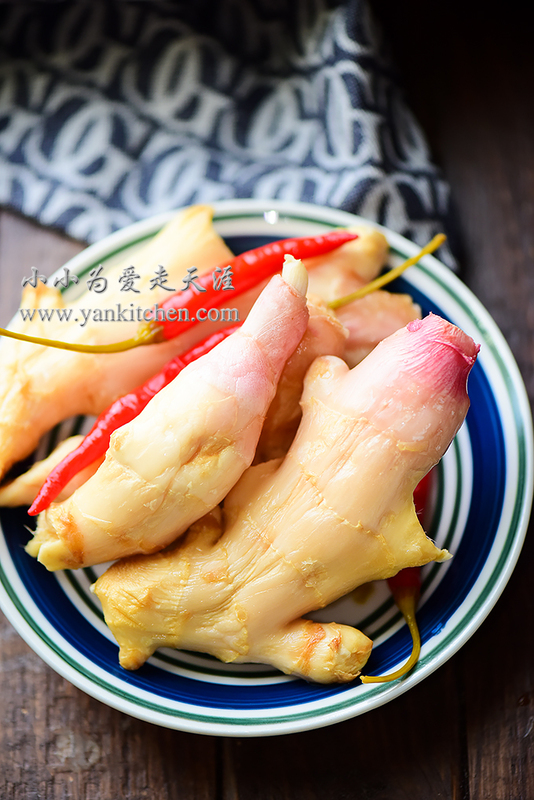 Pickled vegetables have been a long time tradition in my hometown in China. Most vegetables thrive in summer but hard to find in other seasons, so that our ancestors developed such a way to preserve excessive vegetables for later use. Actually similar vegetable pickling techniques have been used in many places all over the world, with minor differences in the process and ingredients. Most southern Chinese families keep one or more pickling jars in the kitchen. These pickling jars are different from all we can see on grocery markets in the States. There are deep V shape edges on the top of the jars where water would be added to keep the whole jar aid-tight. I have been looked over everywhere to such a pickling jar in America but came up with none. So I brought back one from a trip back to China a couple years ago. Pickling ingredients and methods vary from area to area too. I mostly do Sichuan style pickling which involves lots of peppers, Sichuan peppercorns and other Asian spices. Pickled young ginger roots are one of my favorites. But the thing is, it is extremely hard to find fresh young ginger roots on the market. I guess not that many people know how delicious they are. I was so happy when I finally found some in an H-mart grocery store. Rinse the young ginger roots under running water. Pat them dry with kitchen paper towel or air dry with cool air in a food dehydrator. Add to the pickling jar, and sprinkle some with a handful course sea salt. The pickled vegetables should be ready in about a week. The pickling juice from the jar is the key to success. The best way to start pickling is to buy a small jar of authentic Sichuan style pickles from the nearest Asian grocery store. Use it as the starter. Add cold boiled water, rice wine, sea salt, Sichuan peppercorns, cayenne peppers, garlic cloves, star anises, cloves, sugar and some other spices of your choice to the jar. Seal the edge with water. Wait for 3 to 4 days. You should now have a jar of pickling juice to begin with. Add vegetables to the jar and they would be done in about one week. The more you pickle vegetables, the richer and more delicate flavor the pickling juice would be. This time, I make pickled young ginger and long beans. Both of them are popular pickles in southern China too. They taste very crunchy, a bit tangy, savory and very flavorful depending on the spices used in the pickling process.